Using the Singapore Maths approach. 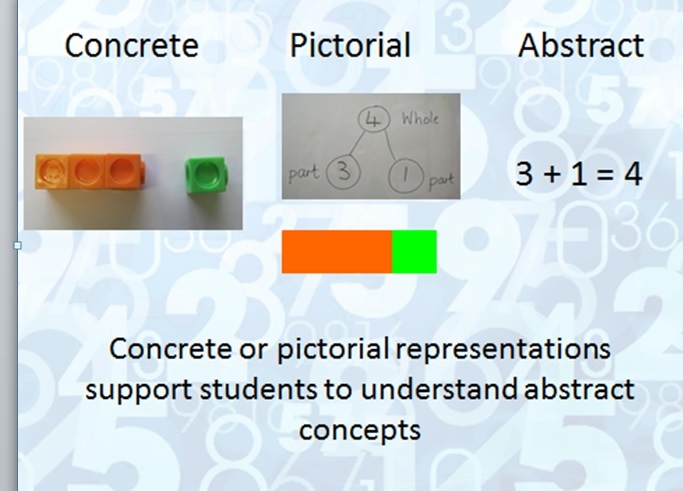 We use a mastery teaching approach in which all children gain a deeper understanding of maths and the solid foundations are built uopn systematically year by year. Our daily maths lessons all begin with a problem solving task, the children investigate a range of strategies they can use - beginning with concrete materials such as counters or base ten equipment, pictorial- drawing a diagram to represent their problem and finally the abstract, often a calculation. The children complete their own maths journal which reflects what they have learnt in a lesson and this is followed by a task in their workbook. Some children wil be given extension tasks to complete and others may have some time with an adult before the next lesson to cosolidate their learning. This approach is giving the opportunity for chidren to think for themselves, and be prepared to persevere when faced with challenges.